Thaicheer Powder Industry Co., Ltd. is established in 1995 to manufactures various parts used in automotive, motors, electrical power units, construction and many other branches of the industry. Mr.Lin Jui-Lung, the founder from Taiwan, chooses to set up the manufactory in Thailand. Thaicheer was well-known in high quality manufacturer and reasonable price. Thaicheer has most up-to-date technology and equipment, reliable personnel, high quality raw materials and a quality control department that pushes among others technology production capacity along with the quality. Thaicheer emphasize the endurance and meticulous method. 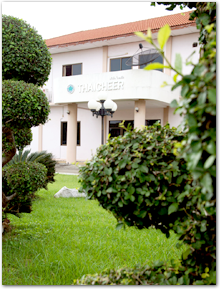 In 2003, Thaicheer has acquired the ISO 9001:2000 certificate. Also, we was obtained ISO/TS 16949:2009 Certificate in 2011 and current update ISO 9001:2008. We are continuously increasing production capacity along with the quality to meet customer requirement which are high quality, wide application, reasonable price in competitive market and excellent service.